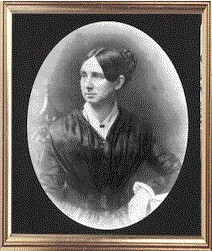 As in this month’s book, Dorothea Dix served as the Union’s Superintendent of female nurses during the Civil War. Dix was born in 1802 in Hampden, Maine. She was self-educated, became a teacher, and even opened her own school for girls. Dix was involved in working to improve the treatment of mentally ill patients for more than 20 years, and was instrumental in opening the first public mental hospital. At the age of 59, on the onset of the war, she volunteered to work for the Union. Dix was appointed in June 1961 and was in charge of the Union army nurses throughout the war. “Dragon Dix” was known to accept only plain women over the age of 30 and required that the 3,000+ nurses wore simple black or brown skirts, and no jewelry. After the war she returned to working to help the mentally ill. Dorothea Dix was included in the Great American Stamp Collection and in 1993 her picture appeared on a 1 cent stamp. Thanks for the additional information about Dorothea Dix. But shouldn’t the date be 1861, rather than 1961? Thank you Wendy! You are so right!. What a typo!